One of the most popular household plants for homeowners is the Boston Fern. Boston Ferns are often used as indoor foliage plants in pots or hanging baskets or are grown outdoors in landscapes as a groundcover in shady areas. In North Central Florida, Boston Ferns can often be seen growing in shadehouses. Cultivating Boston Ferns does not come without its own challenges however, which is why our faculty’s newest EDIS publication, which lists physiological problems that may be encountered during production, is especially helpful. 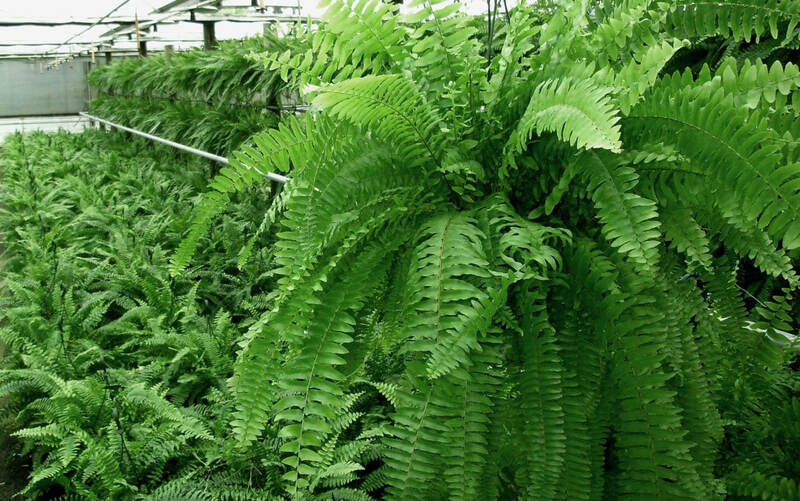 To learn more about cultivating Boston Ferns commercially, check out the latest EDIS publication by MREC faculty members Dr. Jianjun Chen and Dr. Heqiang Huo entitled Cultural Guidelines for Commercial Production of Boston Fern (Nephrolepsis exaltata ‘Bostoniensis’).